LiteCAD is a 2D CAD program. 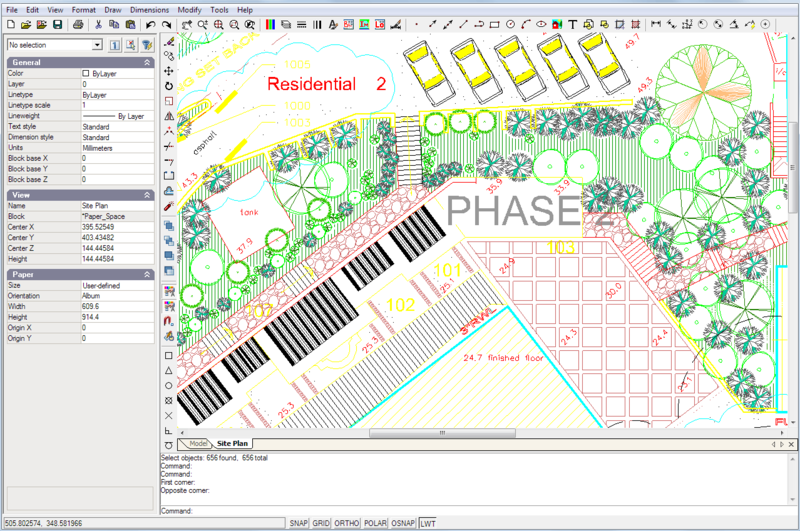 The editor can be used as a multi-purpose drafting application. The main component of the package - LiteCAD DLL library is intended for software developers who build own specialized drawing applications, CAD / CAM / GIS type. This component provides vector graphics possiblilities and has a simple API for using it with the popular languages such as Visual C++, C#, Visual Basic, VB.NET, Delphi. LiteCAD OCX module provides ActiveX interface for the DLL. - Graphics objects: Point, Line, Polyline, Circle, Arc, Ellipse, Rectangle, Text (single, multiline, arc), Raster Image, Hatch, Dimension (rotated, aligned, angular, ordinate, radial, diametic), Leader, Block Insertion, Viewport. - Named objects: Block, Layer, Linetype, Text Style, Dimension Style, Layout. - Edit operations: Copy, Move, Rotate, Scale, Mirror, Explode, Erase, Join, Offset. Single objects can be edited by moving their control points (grips). - Various snap modes allows you to draw/edit objects accurately without tedious calculations. Snapping modes use ID markers to enhance operator speed and vision. Superior Polar Tracking capability. Command line interface offers exact placement of objects. - Event-driven mechanism allows your application to control user's actions with a drawing. - Access to all the properties of any object, either programmatically or via dialogs. A unique identifier for each object facilitates external database referencing. - Supports AutoCAD DXF drawings format. Other vector formats can be added using the plugin interface. - Supports Windows TTF fonts and AutoCAD SHP/SHX fonts. - Print Preview. Also you can use Paper space layouts to prepare paper sheets ready for printing. - Multi-language interface. Easy localization to any language.